Dubai, UAE: Professionals from the regional construction and technical industries seeking the latest power tools to boost their operations needed to look no further than the Hardware + Tools Middle East exhibition, as a series of new tools were launched in the market that save time and money. Central Motors & Equipment (CM&E), the sole UAE distributor of Bosch Power Tools launched its latest range of German manufactured equipment aimed at contracting and fit-out firms, construction companies, or workshops across the region. A headline exhibitor and Gold Sponsor of Hardware + Tools Middle East 2017, CM&E launched its latest line of Bosch cordless screw drivers, drills, and measuring tools when the annual event opened from 22-24 May 2017 at Dubai International Convention and Exhibition Centre. Among the highlights was a Flexi Click 12V 5-in-1 cordless drill driver which is the only system available in the UAE with a full range of four different attachments. A new range of professional Bosch drills were also introduced that, according to CM&E’s General Manager Ismaeel Hassen, are up to 10 per cent faster in drilling and 35 percent more productive than competitors in the market. “We also displayed the GLL 3-80 C, which will be available in the UAE later in September. This laser measurement tool has a connectivity function and works with Bluetooth. Operating with a remote control, the tool will allow the user to turn it in any direction making this job from a two-man duet to a one-man solo operation. “A similar tool is available for DIYs to encourage first-timers an easy-to-use product with an attractive design to give up using traditional measuring methods and start using laser,” added Ismaeel. A regular exhibitor at Hardware + Tools Middle East, CM&E was one of the UAE’s foremost providers of motors and equipment offering a diverse range of brands, products and services to its customers. Working in both wholesale and retail markets, the company comprises four divisions: Tyres; Automotive Parts; Car, Diesel and Service; Power Tools and Service. 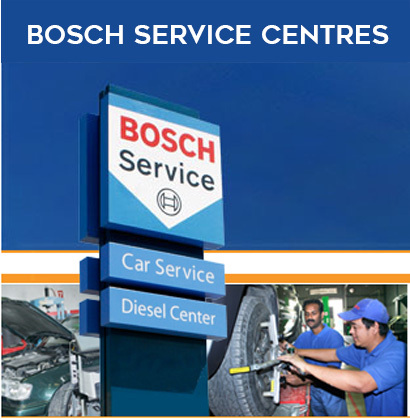 “Bosch is the best brand in the market when it comes to sturdy, reliable convenient and quality,” said Ismaeel. “This pertains to everything from Professional Tools to DIYs as well as general accessories for these product ranges. “The Bosch Power Tools promise reflects that of CM&E as it focuses on the customers’ needs and preferences to guarantee the job is complete in the most efficient manner, with the least resources, highest safety, convenience, and of course, meaning all our customers receive the best value for money. Hardware + Tools Middle East is the region’s only dedicated trade fair for building materials and construction machinery. In its 18th edition, the three-day event featured 166 exhibitors from eight countries representing over 250 brands, and covering all areas of the construction sector.